People with an orange or have predominantly orange in their aura will enjoy sharing what they have, as a candle flame shares light and leads the way forward. The same can be said for the qualities within the orange aura, material possessions and personal time is shared with all and given abundantly to any that need. The youth and young ones will share without restraint, with a philosophy of “what’s mine is yours.” With the orange aura comes a sense of fulfillment, that the material possessions are unnecessary, friendship and companionship are worth more and loyalty, integrity and unconditional love are the important aspects of this persona. The expectation of these things is both presented and given with heartfelt, childlike innocence and just as these people are easily hurt, they forgive just as easily. With hope in their heart and joy in their footsteps, these people will move through life with youthful exuberance and love surrounding them. The sacral or 2nd Chakra will help this person to prosper, by keeping the Sacral Chakra healthy it will encourage this person to be healthy, wealthy and to prosper. This person enjoys the comfort of others and enjoys others comfort, is naturally able to play the part of host to all that seek hospitality and refreshment. The women with an orange aura will come into their own with the moon, of a night they will glory in their femininity and natural abilities to share emotion and solace. The men with an orange aura will relish the sun, like sun gods they will attract and be attractive to sensitivity, caring and emotional balances. A walk along the sea shore will bring the best out of these people, to swim in the ocean and to enjoy the splendours of sun rise and sunset will allow these people to shine. The healthy orange Aura, means a happy family life, virtue, compassion, passion for all things that are good, and a willingness to share. 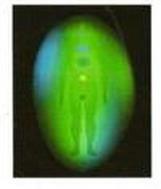 The Aura should be considered as a muscle and as such should be exercised regularly, looked after and respected. Understanding and inviting naturally occurring life force streams into the Aura will enhance and develop our whole being, making us attractive to all that can see. A blue haze surrounding this aura is not uncommon, with silver and blue to the left and with gold to the right this person has reached fulfillment, “to feel” and to believe “I am that I am” is this persons attribute. As the Ivy / Goert will climb towards the heavens and female supports the male, the silver of the new leaf and buds compliment and encourage the established roots to support the gold basking bigger leaves. With each one complimenting each other and reaching out encouraging each other. Olympians racing forward enjoying and sharing their love of what life will bring. A perfect time for this person to balance and meditate would be sunset in spring/summer. 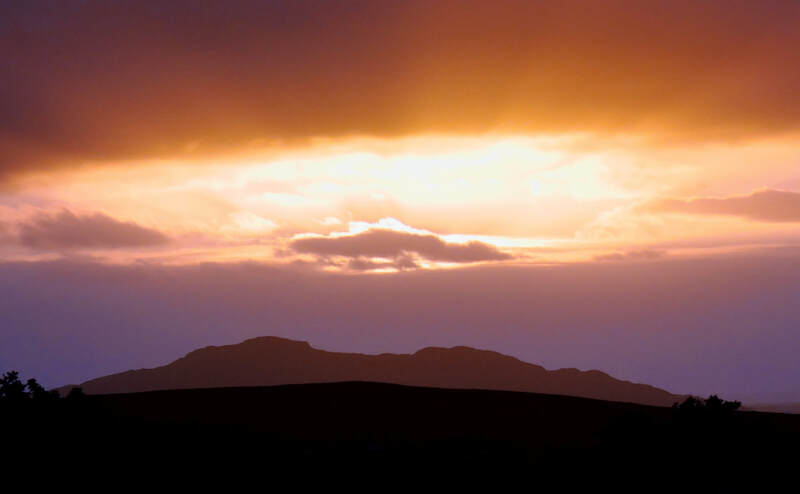 The Orange that sits above the horizon at sunset, is the colour of this aura. It is as pure as the day is long, the orange that sits within a candle flame is the comfort behind the light and very few will see it until they look. Once seen the purity within is recognised and not forgotten. Virility and Celibacy are to be recognised as sacred rites of entitlement. The orange aura represents the right to feel, the orange glow is all aspects of compassion and enlightenment. To be self centred, selfish, promiscuous will cause this aura to lose it's colour and become smokey or milky in appearance. The texture of this aura is felt like, or short velvety fur, when unbalanced it feels like a scouring pad. Kidneys, water infections, bladder, hormonal and intestinal. Also lethargy and mental health.